If we could pull you through the screen into the Hawkshead Village store changing rooms we would but in the meantime here are some sizing guides for each of the brands on Hawkshead.com. The following information shows body measurements and do not indicate actual garment measurements. Use these body measurements as a guidance when choosing Hawkshead sizes. 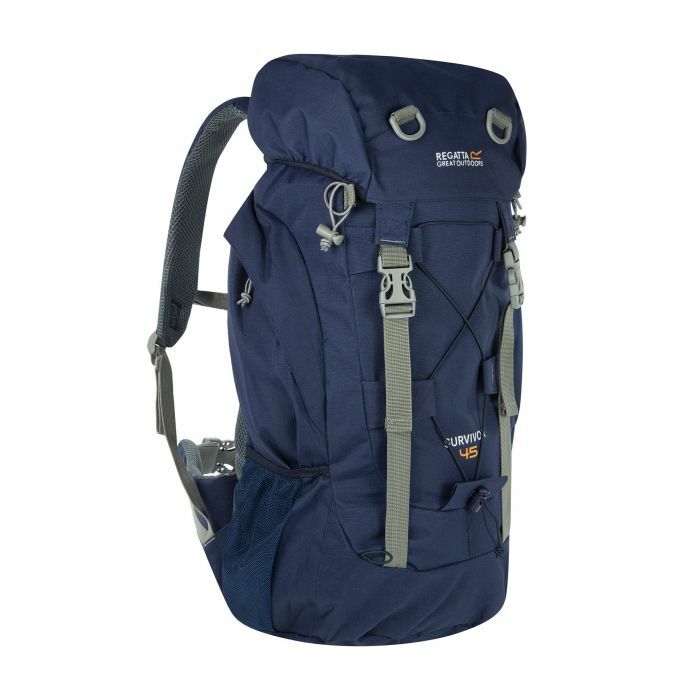 Our roomy Survivor rucksack with up to 45-litre capacity. A versatile and durable pack for expeditions and overnight camping trips.Made from tough-wearing ripstop fabric with a mesh back construction for cooling airflow. The bag hugs the body with two shoulder straps, an adjustable chest harness and cushioned hip belt. On the side, you'll find two zipped pockets, mesh water bottle pockets and bungee walking pole holders. The detachable rain cover provides reliable protection.